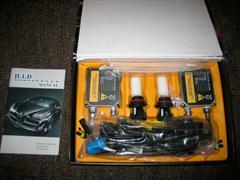 I have been wanting to upgrade to HID headlamps for quite some time. The reason I haven't until now is that there weren't too many dual beam kits avalable. I didn't want to give up my high beams since I drive in the country a lot. The dual beam kit was just what I needed. 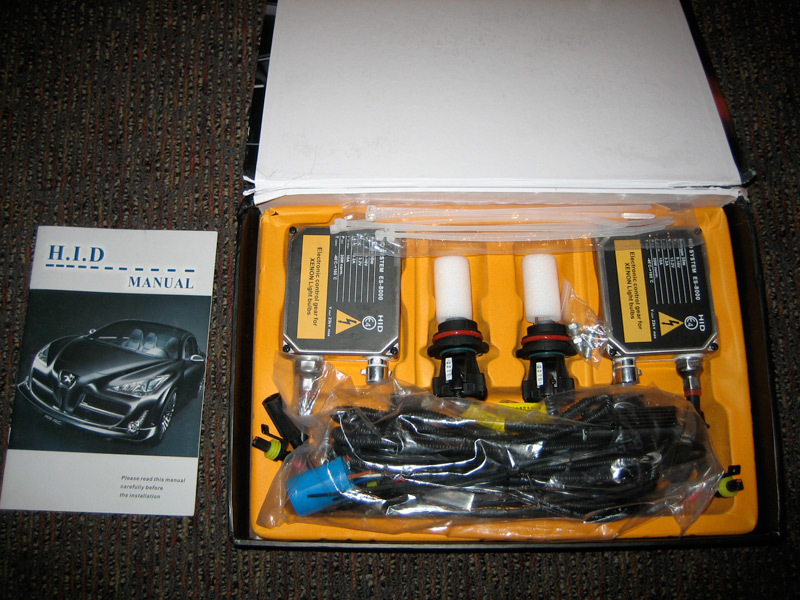 I purchased a 9007 4300K Dual Beam HID kit from the group buy on www.ExplorerX.com. The group buy was through RSI Motorsports. This kit is a universal kit. It replaces the stock 9007 Halogen bulbs. Also to note, universal does not mean that minor problems won't be encountered during the installtion. A little creativity may be necessary and was the case for my mountaineer lights. I am not writing a complete "how to" for this modification. It is fairly straight forward. Everything is plug and play. No wires need to be cut. This is just to show where I located my ballasts and any modifications to that kit that were necessary. When I first tried to install them, I was having difficulty tryng to rotate the locking ring to hold the bulb in place. I forced it, and ended up breaking two of the three tabs. This could be due to the plastic being a little bit old, as another mountaineer owner installed this kit without any issues regarding the bulbs. To remedy this situation, I chose to file some material off the face of the bulb bases. This was done carefully. If you do this, it is important to leave the material in the center alone as to not compromise the seal of the o-ring on the bulb. I took off about 1mm. I chose to remove my headlights since I was having problems with the fitment. It just made it easier for me. The last problem I had with the kit was due to manufacturer error. They wired the connector incorrectly that hooks to the factory bulb connector. As a result, my high and low beams were reversed. This was quite annoying. It took some trial and error to get things working. A picture of the correct pinout is shown below. After that issue was taken care of, it was time to play around. As you can tell, my beam pattern looks kind of odd. My passenger side headlamp housing is an aftermarket OEM replica, and I think it is different from a true ford OEM housing. I plan to get myself a true OEM light to replace it later, since this housing concentrates the beam so much I was worried about burning a hole in the garage door! If you are wondering about the fog lights, the bulbs are Luminics H1 bulbs in" JDM Yellow." That is all for now.